In Sporting Goods > Bicycles > Show & Tell. 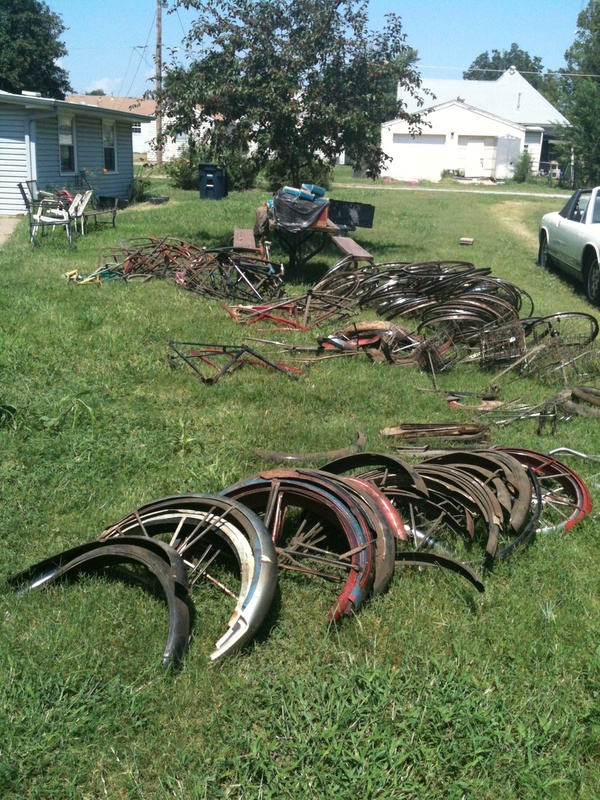 Me and a few bicycle buddies got a lead on a stash of old bikes, The people gave us everything if we just move it out, been in the attic since 1970, we spent the day removing all the bikes and parts that to 6 trips to move everything and we still have 1/8 left to remove from the attic. 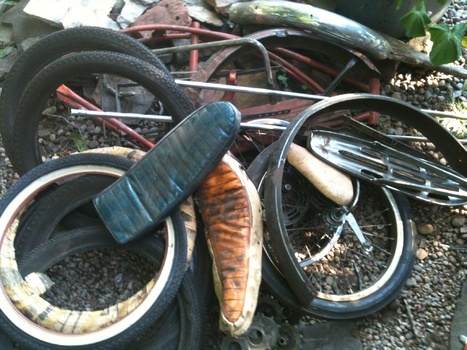 Found many NOS part and several Skip Tooth items. Muscle bike parts including a hard to find sissy bar padded back rest, many boxes of NOS Good Year tires and tubes and so many more goodies. 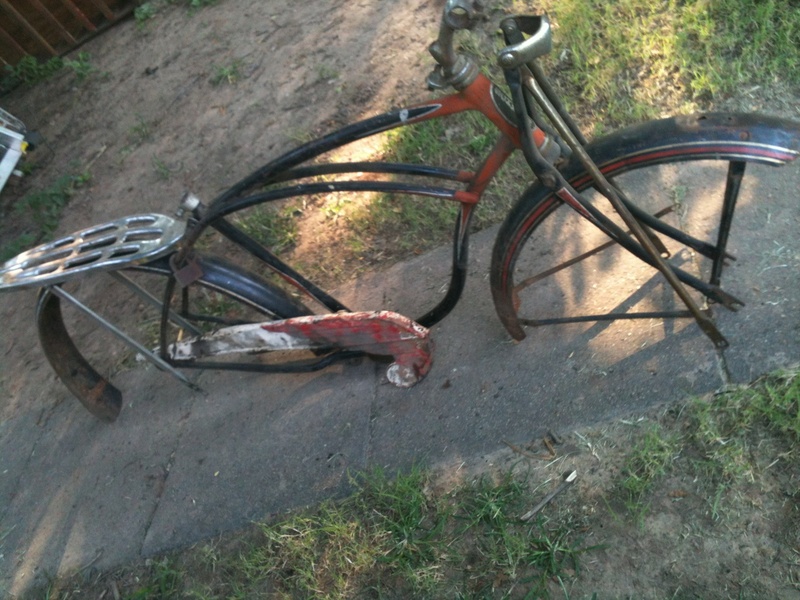 My favorite being the 54 Schwinn Black Phantom that I'm still going through the parts and finding pieces to put it back together.